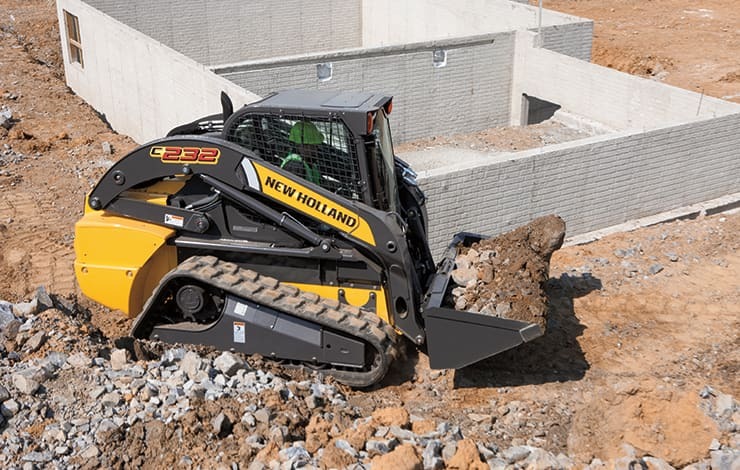 ​New Holland’s low-profile undercarriage design uses steel-embedded tracks that roll on rubber instead of steel to give you a smoother, quieter ride and longer-lasting tracks. The undercarriage design has fewer moving parts than competitive designs, and the simplified carrier design includes more open areas to improve track cleanout and extend track and carrier life. Lifetime sealed and lubricated rollers and idlers reduce your maintenance costs.